In our new series, The American Prison System, our first guest author is going to be discussing the origins of the American prison system, the effect of prison and police policies on minority communities, and teaching positive action steps to effect change in your city. The writer Jase Short is a life-long political activist who has written and worked on minority rights issues for years, is a supporter of Justice Unlocked and one of the first guest authors we’ve invited to write editorial and educational articles that might help someone in need. Television, textbooks, mainstream news, an endless stream of sources all say the current state of affairs is natural. There are police forces everywhere. They are very active. They carry out arrests which populate prisons. What else can be done about criminals? Aren’t they the original sinners of the social order, undermining our ability to trust each other by undermining the law? Actually the police, the American prison system, and how they operate in the United States are all the product of a very recent history. Police forces in the United States emerged from fugitive slave patrols, overseers, and night watchmen (who targeted enslaved Africans and indentured Irish in the North). The police are the product of years spent maintaining a state of affairs that sees white people and property on one end of the law, and people of color on the other. That doesn't mean all police officers are angry or racist bigots. On the contrary, most are professionals. But that is exactly the problem. They are professionals of an institution built on using brute force to solve complex social problems. They are simply doing their job, a job designed by politicians and influential people who have a lot of power and not a lot of accountability. In the years after the upheaval of the 1960s, when urban rebellions like Watts seemed to foreshadow a wider social conflict, police forces in major cities began to pioneer the “War on Drugs.” Coupled with violent crackdowns against mostly black political activists, the new “War on Drugs” resulted in an influx of people into the American prison system. 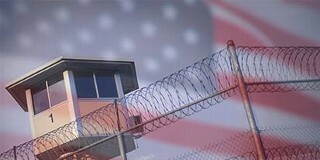 It was so successful at incarcerating people, that it was upgraded in the 1980s into the entirety of law enforcement across the United States, and heavily expanded in the notorious 1994 crime bill signed into law by President Bill Clinton. Now things are clearly out of control. Most Americans continue to think that our police and prison situation is normal, but it is not. The American prison system has the largest prison population in the world, numbering in the millions, dwarfing our nearest rivals. The United Nations continually demands to see inside America’s jails, to look into practices that constitute cruel, inhumane punishment, and torture as well —especially the widespread use of solitary confinement. 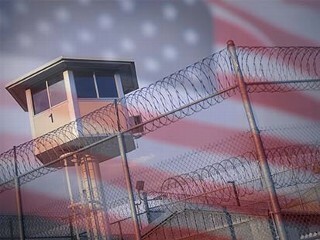 Human rights organizations routinely call for wholesale reform of the prison system. Activists have returned full circle, calling the current system a “new Jim Crow” while demanding the abolition of the prison system itself, and its replacement with a smaller, more humane way of dealing with crime and other social problems. What every American needs to know is quite simple: the current state of affairs involving police violence, the extent and nature of the american prison system, and the relationship between law enforcement and the public is out of step with the rest of the industrialized world. This is an intolerable state of affairs, and we must act to change it through practical and immediate reforms to law at the state and national levels.